Not only is this Mon Calamari great a sniffing out a trap, but now he's great at holding your drinks. 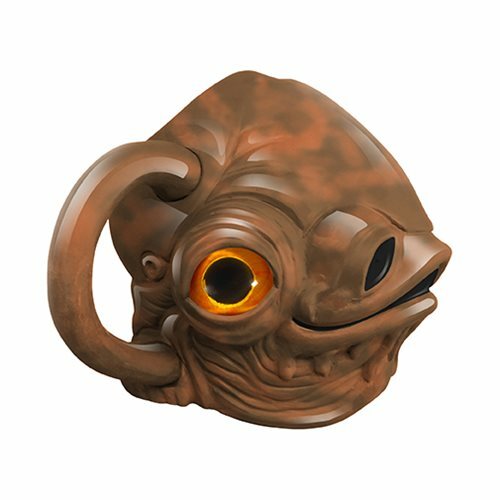 The Star Wars Admiral Ackbar 20 oz. Premium Sculpted Mug Sculpted Mug is custom sculpted, functional and made with high-quality ceramic for a unique collectible that is sure to delight fans of all ages. Great for everyday use, showcasing or gift-giving. Measures roughly 5 1/2-inches tall. Comes in a color gift box. Hand wash only. Not dishwasher safe..